SYMPTOMS: I started this week feeling pretty good. I had my 20 week sonogram and appointment scheduled for Wednesday and I was excited to get to peek in on Ashton. 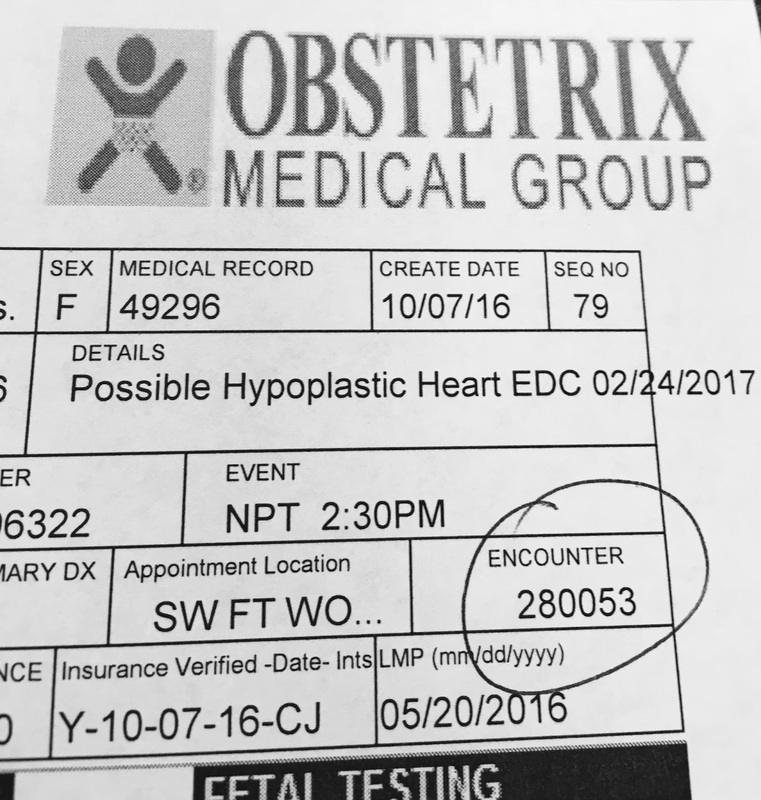 The visit was going as planned...weight, blood pressure, sonogram. The sonogram seemed quick for a 20 week, although the sonogram tech did mention he was moving a lot and was not in the most desirable position. It took her a few minutes to get decent images of his spine. 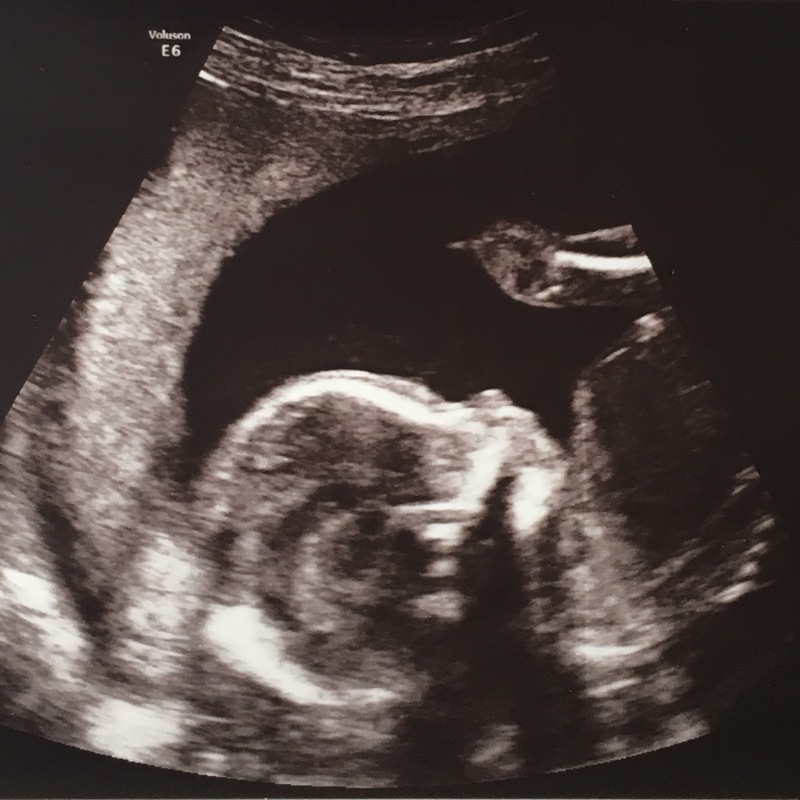 She was also able to reconfirm for the third time (I had a blood test and an elective sonogram at 16 weeks) that he was indeed a boy. She handed us our sono pics and we made our way to wait for the doctor. After a quick visit with the nurse and a 20 minute wait, she finally walked in. She asked me the general questions and began measuring my stomach. While taking my measurements, she "casually" mentioned that they were not able to get good measurements of his heart and I would be referred to a specialist. My heart sank and my mind raced with a thousand questions. The first words I could utter were "did you see something that looked wrong". She said no and just said she thought the baby may have been in a bad position. That answer did not satisfy me or Jeremiah so I kept pushing. Why did I need to see a specialist if she felt bad positioning was the cause? Why couldn't I just be rescanned at the office? She again was dismissive and said the specialist's equipment was superior and that they would be able to get the images she needed. I left feeling confused and worried. Following the appointment, I made it about 2 hours and called the office. There was no way I was going to wait for the specialist to call me and schedule. I wanted their number and I wanted to get this appointment scheduled ASAP. By the end of the day, I had an appointment for the following Wednesday. Jeremiah was also feeling uneasy so he called my OB's office as well and asked for more information. Essentially the nurse told him that they saw something that they could not be sure of because of the image quality. He specifically asked for a possible diagnosis or name for what they thought they saw and she refused to give him one saying they just couldn't be sure. Again, no answers and more waiting. These are two things that I an NOT a fan of at all. When it comes to health, I like black and white. I do not operate well in the gray and always prefer to be as informed as possible, regardless of outcome. I was not feeling informed. The next morning, after zero sleep and extreme anxiety, I was bound and determined to get in to see the specialist sooner. The longer I waited, the more severe the situation became in my head as I began to construct my own possible scenarios. Yes, I googled possible heart complications. As you can imagine, few outcomes were very desirable. I spent the better part of every spare moment I had that Thursday trying to get an earlier appointment. They did not keep a cancellation list so I just kept calling. At about 5 pm, I finally got lucky and was scheduled for a 2:30 appointment the following day at an office on the far side of Fort Worth. It was definitely worth the drive. It felt like a lifetime from Thursday evening to Friday afternoon. I wanted answers and clarification. As Jeremiah and I were driving to the appointment, you could sense the tension and worry. Later after the appointment we talked about the drive to the appointment and he told me he spent most of the drive praying that everything would be normal with Ashton. It is funny because I was doing the exact same thing. Except I was praying that I would be able to accept and handle the outcome, even if it was not what I was hoping for. Once we arrived, I got checked in. A few minutes later, the receptionist called me back up to initial that all of my information was correct. As I was scanning the paperwork to verify my name, DOB, etc., I saw a field that read "DETAILS". Typed in this box was reason we had been referred, the information that no one at my doctor's office felt was necessary to share with us in spite of our multiple requests and inquires. Possible Hypoplastic Heart. It is a miracle I didn't throw up. Once I could put a sentence together, I asked the receptionist if the specialist deemed this a possible diagnosis based on the images that my doctor sent over or if my doctor provided the diagnosis. She said they do not review the images and always take their own. The possible diagnosis came from my doctor. I grabbed my phone, took a picture of the document and made my way back to sit with Jeremiah. He could tell something was wrong. All I could do was show him the picture on my phone. Talking at that moment was not an option. He asked me if I knew what that was. I did. Of course this came up when I was googling. There were two types of hypoplastic heart: left and right. Neither were good. Jeremiah took up googling while I went back to give a urine sample and vitals. While the nurse was taking my blood pressure, she mentioned that the receptionist told her that I did not know why I was there. I told her the back story that my doctor said they needed better images. She was surprised that they had not mentioned the possible diagnosis and confirmed that patients are only seen by their office when there is a evidence of a suspected problem or complication. Great. Blood pressure reading: extremely high! 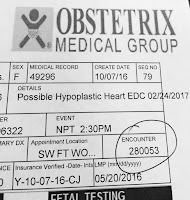 I returned to the waiting room where we had to wait an AGONIZING hour and half to find out whether or not our baby had a congenital heart defect. By the time we were brought back, I was a mess. I kept pretty quite because I knew speaking would only bring tears. 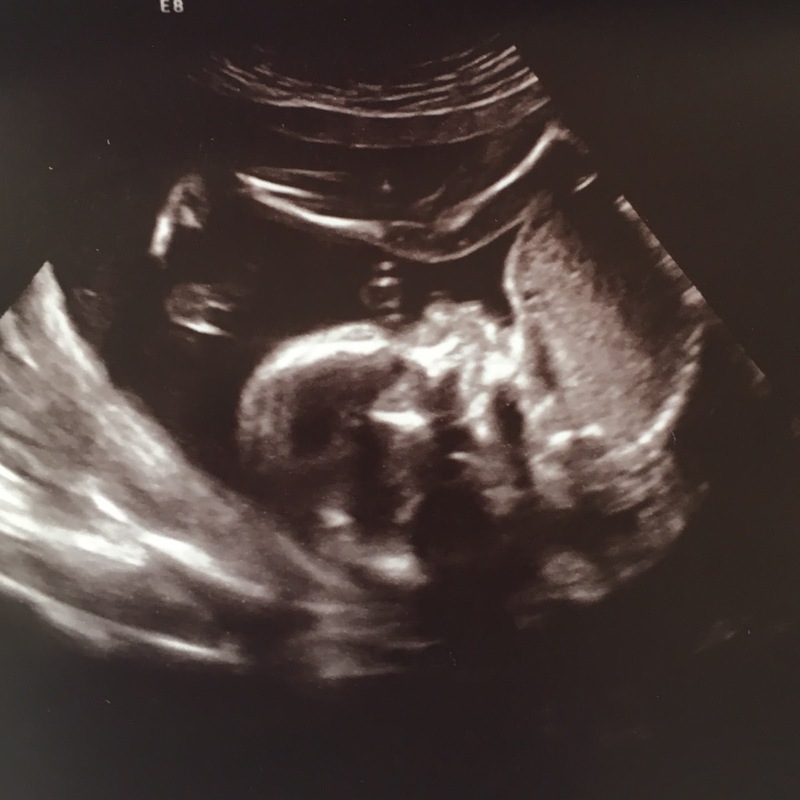 The doctor introduced herself and told us a little about the sonogram that we were about to have and what she would be looking for during the scan. She also said that it was not typical for patients to come in to see her and not know what may be potentially wrong. I let her know that I wanted her to talk us through each thing she saw and that I did not was her to withhold information. I simply stated I wanted all the facts. 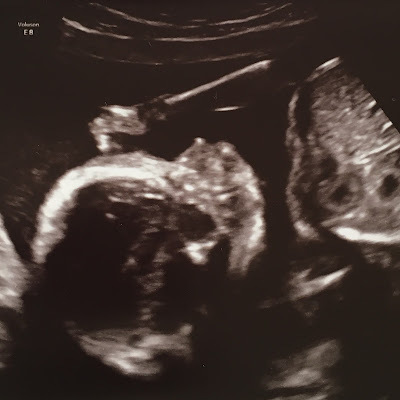 She started the sonogram and my heart raced. I am honestly not sure I took a breath the first 30 seconds and could feel my body shaking. Upon viewing the large screen in from of me, I immediately notice a significant difference in resolution and clarity of the image. 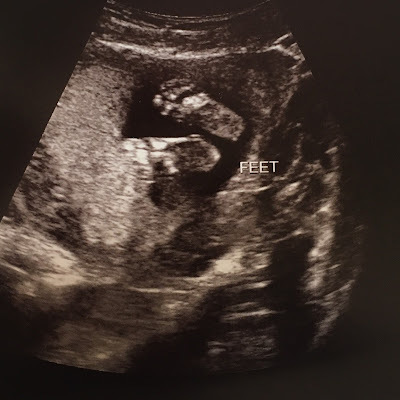 You could literally see small details that I had never seen before in previous scans with Ryann or Ashton. She got straight to business and said she was going to start looking at the heart, arteries and veins from many different angles. She also commented that he was very wiggly. I glanced over at Jeremiah and his eyes were fixed on the screen. I could see clear evidence of stress, worry and anticipation. She identified that there were four chambers. Good news. After about 5 minutes of listening to the heartbeat, viewing the direction of the blood flow with some fancy technology that gives different colors to the blood flow based on direction (up or down), and measuring, she said "so far so good" but that she still had a lot remaining to scan and review. After about another 15 minutes and 50 plus still images taken, she started talking. As she talked, she showed us evidence that backed up her claims. She showed us a live view of the valves (crazy that you can see the complexities of the heart working in utero) opening and closing. She said they were functioning perfectly. She said this indicated that chambers were all the correct proportion and based on this, there was no evidence hypoplasticity. She kept going. She showed us that all the blood flow was moving in the correct direction and that the arteries and veins were working properly and in the right place. 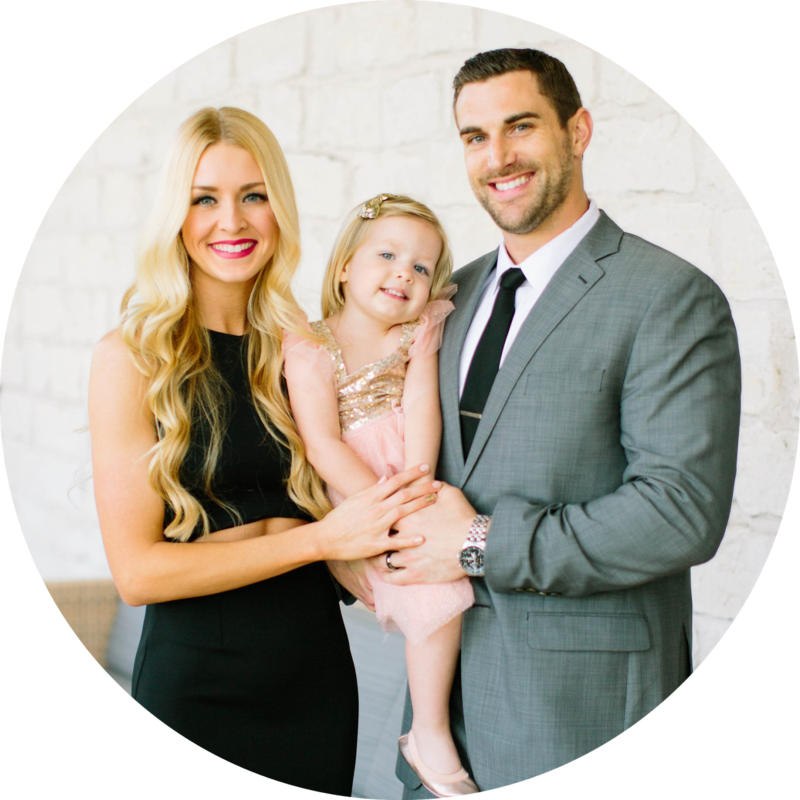 Her professional diagnosis was that he had a perfectly formed, perfectly functioning heart. I started sobbing. Jeremiah put his head in his hands and took a deep breath. I am sure he was thanking God that the news was good. Although I just wanted to get up, pull my self together and put this all behind me, she told us that she had to scan his entire anatomy. She literally looked at every inch from head to toe. While it was extremely amazing to see all of Ashton in such detail, I was still an emotional wreck. After about 30 minutes, she said everything was normal. Thank God. We thanked her, grabbed our long ribbon of black and white images and checked out. We made to the car without speaking and both breathed a huge sigh of relief. I was still pretty emotional and I could tell Jeremiah felt more at peace. As soon as we got moving, I called my mom (who had texted multiple times) and shared the story of the waiting room, diagnosis on the paperwork and overall outcome. She was also relieved. On the way home as we sat in traffic, we talked about how silly it was to sweat the small stuff (like sitting in traffic). It is funny how it takes something like this to make you realize what really matters. While this is something I wish we would not have had to go through, I am thankful that the outcome was positive. I am also much more empathic for those families who go through this and do not receive a positive outcome. Instead they face the reality of the unknown and an unexpected future. 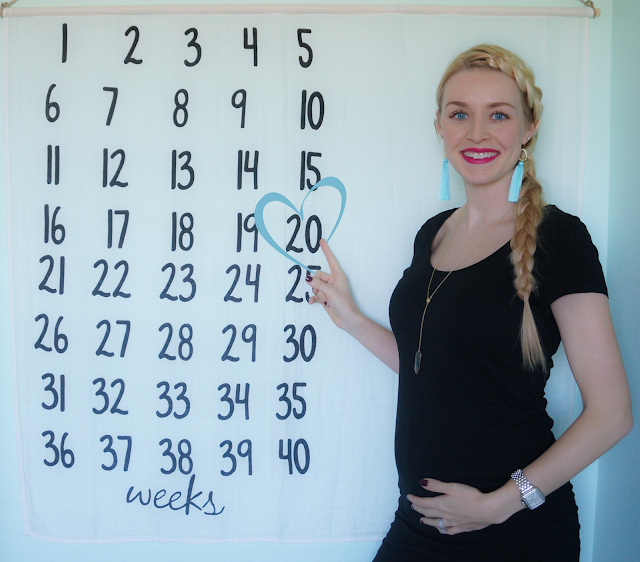 That being said, the blue heart around our 20 week milestone picture this week has extreme significance for us. Bless Ashton's little, developing, healthy heart. MOVEMENT: Ashton has become quite the busy body and I LOVE IT! 1: LAW Designs Tassel Earrings- If you have notices the trend, I have worn a different pair of tassel earring for each of my pics so far. This weeks pretty baby blue ones were a sweet gift from the designer (who also happens to be family) to celebrate having a baby boy. These earring are so light and so versatile. Check them out @law-designs on Instagram. 2: asos.com - You had me at free shipping and free returns. I have ordered WAY too much clothes lately but am finding that their selection is both practical for pregnancy and non-pregnancy. Gotta love when you can but something that is versatile (at least this is what I tell myself. 3: All things baby - I am loving shopping and planning for Ashton. This week, we had his nursery painted. I am so excited to continue decorating. BOOKS I AM READING [OR LISTENING TO]: I hate to say it, but I took a break from reading or listening to anything. I spent a lot of time alone with my thoughts.